Heading to Disney soon? One thing you may be surprised at when you go to Disney is the amount of merchandise around the parks. While there are a lot of cool, park exclusive items you can buy, great foods to eat, and unique experiences you can purchase, there are some things you just should never buy at Disney. 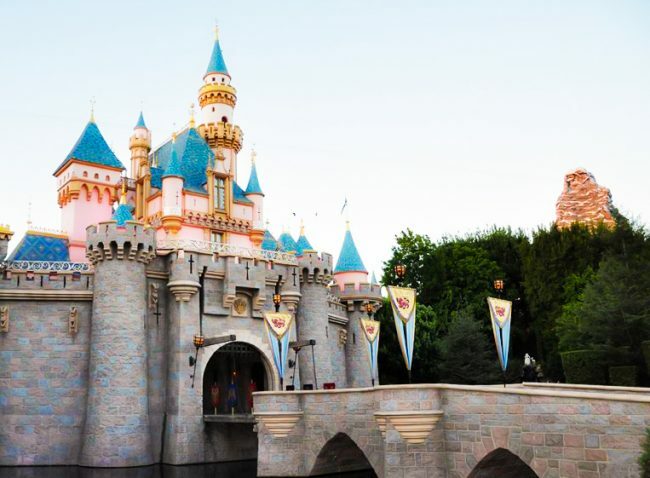 Check out this list to know what you should avoid purchasing at the parks and why. Fruit. I love that Disney has fruit stands so that there are healthy food options in the parks. I hate the price tag they stick on their fruit. At Disneyland the fruit is a few dollars for an orange. Go to a grocery store in the area and you pay 50 cents. (I mean, you are in California where they have plenty of orange groves after all.) Save a lot of money and bring in your own fruit from a local grocery store. Didn’t think you could bring in your own food…wrong! We covered this myth in our 10 Items Banned at Disney Parks (and some that aren’t) post. Sunscreen. Sunscreen on property is expensive! 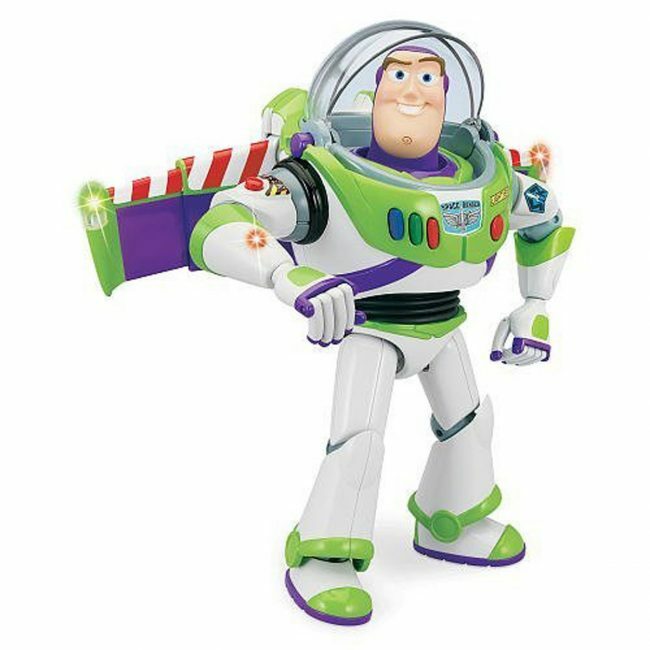 If you forgot yours and absolutely can not get off property to purchase, then you may be stuck buying from Disney, but just prepared to spend a pretty penny and also have limited selection. Bottled Water. 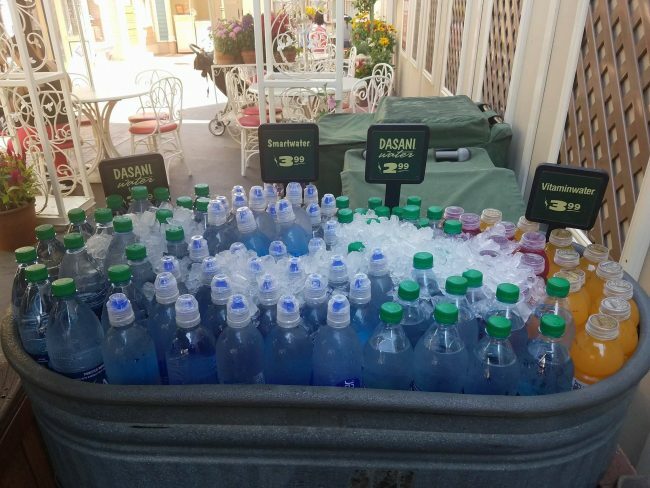 Do not waste your money on a bottled water at Disney. No reason to pay $3 for 16 ounces (totally guessing on the price) because you can get free ice waters at any quick service restaurant. I suggest investing in a good, stainless steel, vacuum sealed water bottle (LIKE THIS ONE – affiliate link) and then pouring your FREE ice waters into it. I love that this one can fit ice cubes in it, it keeps drinks cold and it has an easy flip top. Disney gift cards. They sell Disney gift cards at Disney. These are great if you want to give each kid a certain amount of money. However, you should not buy your gift cards at Disney because you can save 5% by buying them at Target using your Red Card (they have a debit card version). 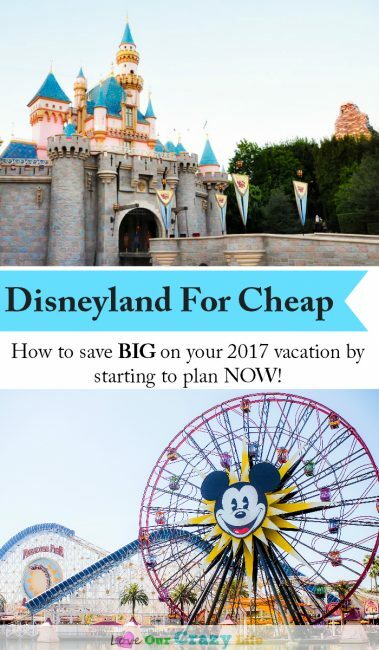 I went in to more detail in the post How to go to Disneyland for cheap in 2017 as well as sharing many other Disneyland saving tips. Stroller Rentals. I love renting strollers when going to Disneyland because it means I do not have to take strollers with me in my car or check them when flying. However, I do NOT suggest renting strollers from Disney parks. Both for quality and economical reason. Also, Disney strollers can not leave the parks. If you are heading to Disneyland I suggest renting your stroller from City Stroller Rentals. The quality of the strollers is amazing, the service is even better! In most cases the stroller can be delivered right to your hotel, waiting for you when you check in. They even pick the strollers up for you at the end of your stay. If you avoid purchasing these items in the park, you can free up some more funds for in park purchases. Splurge on a character meal or that really nice souvenir. Did I forget anything that you really shouldn’t purchase at the parks? Leave a comment letting me know. 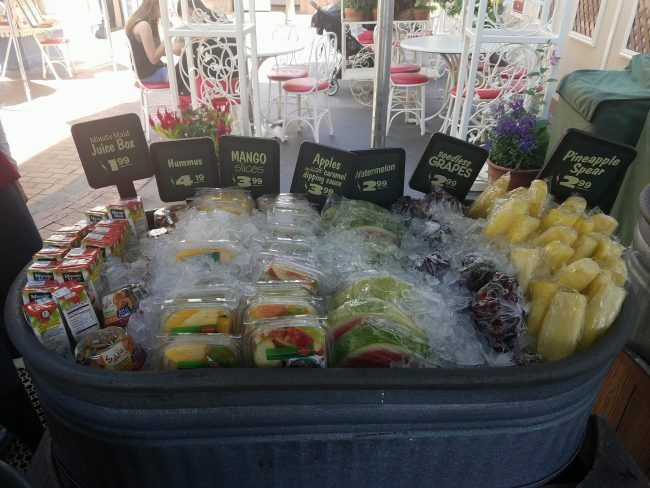 *Thanks to my friend Ausha for the photos of the fruit and water stands in the parks. Did you know you can ask for a cup of ice water at any non sit down food place for free. We went a couple of years ago during a hot spell and they had cups lined up and ready to go for anyone that asked. We used to rent strollers in the park when it was a perk of the Disney Visa, but they stopped doing that. 🙁 Free stroller rental was one of the early perks, and then it was half off. I was bummed when they started getting rid of Disney Visa perks one by one. The tap water at WDW is awful, very sulfury tasting. We always get bottled water at the grocery store by the case and keep it at the room. every morning we fill up four of the good insulated bottles and bring 4-6 more for later. I usually get a water instead of dessert at the quick serves. We may end up buying a couple of bottles at the end of the day but not very many. When we go it is usually just 2 of us.